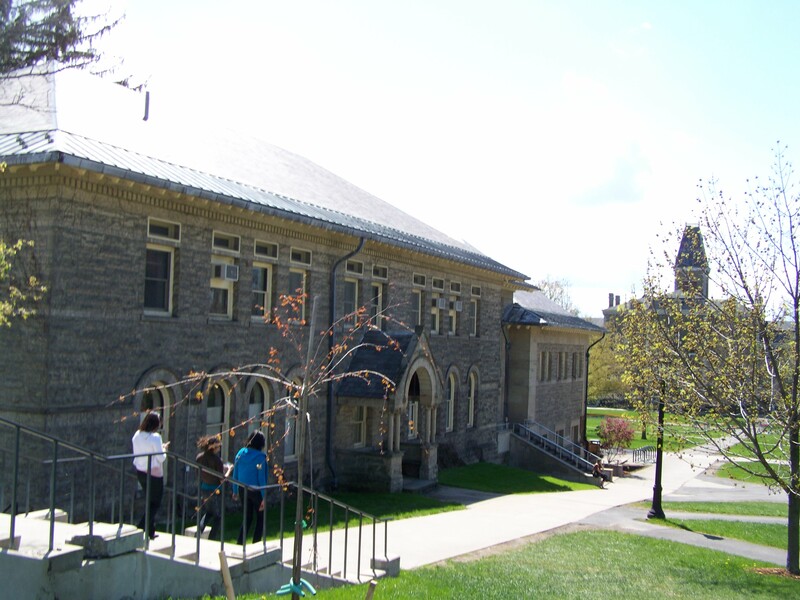 Let’s face it – the majority of students as Cornell are driven by their GPAs. For grad school, for their first job, or whatever their immediate postgraduate endeavor. Sure, they may not mean everything, but GPAs are important enough that many people are dedicated to getting as close to a 4.3 as possible. However, as anyone who’s been at Cornell for a while can recognize, grades are not distributed evenly, especially between majors. Sure, you could work hard and maybe pull a B+ in a course where the average is a B, but few people would turn down the opportunity to pad their transcript with an easy A. Well, Cornell recognizes this, and has begun to print the median grades for that class, as well as the grades a student has in a course, on their transcript, starting with the class of 2012. It helps to get an idea where certain median grades lie. For a while, Cornell printed median grades and posted them online. Well, that only fueled the culture of “easy A classes”, so they stopped. Enter Munier Salem ’10’s cleverly-done guide to median grades. Using the fall 2009 median grade report, Munier put together an interactive infographic describing the distribution of grades in a given department (ASTRO, ASIAN, PHYS, and so on). Now, I could’ve summarized it, but Ivygate already did that. So, I’m going to try a different tack. I’m a CALS alum. So my interest is in CALS departments (regardless of whether or not they’re shared between schools – I’m looking at you BIO). Using the infographic, I pulled the percentages for different grades in a given CALS department and assigned a value to the grade itself – a 10 is an A+, a 9 is an A, 8 is an A-, and so on. The results in the graphic are actually given in a bar graph, but this method will break it down to just one mean value for simplicity. In example, say EXMPL has four courses – one with an A average, one with an A- and two B’s. (.25 * 9) + (.25 * 8 ) + (.5 * 6) = 7.25, just above a B+ average. Note that this doesn’t take the number of credits a course is worth into account, and in the infographic only a few larger majors are broken down by the course number of the class. Lastly, the quality of students can vary somewhat between majors (the dairy science concentration in Animal Science comes to mind). In conclusion, my grade exercise is more for show than for anything of real value. Now, this doesn’t take different majors into account, who may take courses from a few different departments. But if we do place any value in this, it’s that it’s good to be an AEM or entomology major, and that you might want to avoid biology & society courses (refuting my own belief that using the word “society” in any course meant it was an easy class).